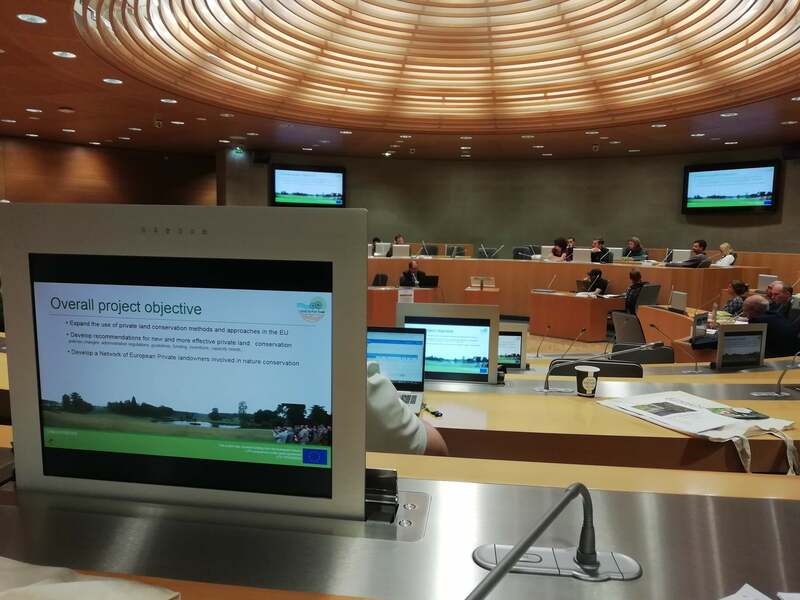 After the opening speech by Mr. Humberto Delgado Rosa from DG Environment the LIFE project was presented together with the ELCN to inspire the participants for an interesting working group discussion on financial compensation possibilities in private land conservation. actions to be included in the roadmap e.g. the organisation of multistakeholder workshop(s) to discuss and agree on recommendations for integrated management of Natura 2000 sites, bi- or multilateral site visits with discussion of concrete positive and negative examples of stakeholder involvement or conflicts and their eventual solutions, the development of communication instruments or events promoting the integrated management of Natura 2000 sites and pro-active stakeholder involvement.